Drumsticks or wings? White meat or dark meat? Whichever you like, celebrate the star of Thanksgiving dinner with these fun crafts. Make these adorable wooden spool turkeys for a fun Thanksgiving Day activity. Make it: Wrap the middle section of wire twice around spool tightly. Twist together to secure. Bend wire to make a foot on each leg and trim excess with old scissors or wire cutter. Trace the end of a spool and a button about 1" apart on paper. Connect the circles to form a neck, and add points on head. Cut out shape, and draw eyes, beak, and spiral. Tape the paper body to one end of spool, then flip over and attach 3 feathers to other side, taping each one individually. Adjust feet so turkey stands. Play pin the feather on the turkey with this creative Thanksgiving craft. Make it: Cut all the pieces for your turkey from construction paper - a large circle for the body, smaller circle for the head, yellow feet and beak, eyes, and a bright red wattle. Then, decorate your feathers from patterned paper and stickers. Give your kids a blindfold, spin them around, and then play pin the feathers on the turkey. Deck out this turkey craft with a mish-mash of mixed-matched buttons. Make it: Cover your Styrofoam balls with different colored buttons, and then stack the smaller ball on top of the larger one. Shape two pieces of wire into turkey feet and stick them into the bottom of your Styrofoam ball. Add a colorful feather plumage to the back of your bird, and then add a ribbon and "Happy Turkey Day" tag to your turkey's neck. Finish off by gluing on two flowers for eyes, a flower for a nose, and googley eyes. Set the table for a fun Thanksgiving dinner by recycling your old wine corks into these name cards. Make it: Glue together three corks to form a triangle. Roll yarn into a 1-1/2" ball and glue to the top of one cork. Then, glue black pom-poms to the holes of wooden beads and glue beads to yarn ball for eyes. Cut a diamond shape from yellow felt (about 1/4"x1/2"), fold in half, and glue to head just under eyes. Once the beak is attached, cut three teardrops from red felt, about 1/2" long each, and glue under the head to the top edge of the cork. Glue feathers to the back of the two rear corks, and glue bobby pins underneath the front cork for feet. Write your guest's name on a fun craft-paper shape and glue to a toothpick; stick into one of the corks. Ask your kids to write what they're thankful for on a paper feather, then stick it into this cute turkey centerpiece. How to make it: Cut a 1-inch sliver off the bottom of a 9-inch polystyrene ball. Wrap sphere neatly in thick dark-brown yarn, covering surface completely; knot on bottom. Make a 4-inch ball from light-brown yarn and attach to body with a wooden craft stick. Create simple facial features using felt: white circles (approximately the size of a quarter, with 1/8-inch pom-poms for pupils) for eyes, yellow triangles for the beak, and long red felt teardrops as the wattle. Cut feather shapes from colored craft paper and bend in half lengthwise to create seam. Glue wooden craft stick to the bottom third of the feather and insert in a fan shape on turkey body. Find new fun ways to use the seasonal produce to decorate your house. Make it: Accordion fold a rectangle of patterned paper and fan it out behind a gourd stacked on top of a wood circle. Add the turkey face by gluing on black felt eyes, a yellow beak, and a red wattle. Send your guests home with leftovers in these cute doggy bags - or turkey bags! Make it: Download the paper bag template from Smile Monsters - cut out the template, fold along the dotted lines, and then glue together. Cut out two wings and four feathers from different colored cardstock and glue onto the bag. Make your turkey's face by cutting and gluing a triangle for the beak and circles for the eyes. When you're finished, fold over the top of your bag to close. Visit Smile Monsters for more details on Turkey Treat Bag. Download the gift bag template. Spare the classic crafts this Thanksgiving - go for a strike with this fun bowling set. Make it: Tape 3-5 feathers to the back of the plastic bowling pins. For the turkey's face, attach small circle foam stickers for the eyes, a triangle for the beak, and cut a small heart in half for the beak waddle. Finish off with a little black marker dot on each eye. Visit Make and Takes for more details on Turkey Bowling. Make this super sweet treat for your kids to celebrate turkey day! Make it: Stack a Reese's peanut butter cup onto an Oreo and attach with the black icing gel. Then, fan the candy corn to cover the top half of the Oreo. Finish off with two M&M eyes and an M&M beak standing on its side - add two dots for the eyes and you're ready to eat! Visit Lizard & Ladybug for more details on Turkey Treats. Light up your Thanksgiving décor with this burnt out turkey. Make it: Paint the entire surface of the light bulb with brown paint. Let this coat dry completely, and then paint the wood hearts with orange paint to secure as feet. Use white craft glue to attach the washer to the top of the hearts so the bulb can rest without tipping. Then, cut out and attach a turkey waddle from red felt and beak from orange felt, and add white and black eyes using the handle end of the paintbrush. To finish, hot glue feathers to the back of the light bulb in a fan for the tail, and then top off with a mini straw hat and silk flower. Visit Crafts by Amanda for more details on Light Bulb Turkey. Chew on this craft - a great turkey treat made totally from toothpicks and candy. Make it: Attach a small gumdrop to the end of 5 of the toothpicks, and poke them into the large gumdrop to form the turkey's feathered tail and body. Then, cut a gumdrop in half and attach it to the turkey body as wings. Make the turkey's face - start with the eyes by attaching two small pieces of marshmallow and a black candy nerd in the center. Then, poke a larger candy nerd in the center to form a beak, and slide a piece of the gummy worm to form the wattle. Cut the last toothpick in half and use it to connect the head to the body of the turkey. Visit Design. Wash. Rinse. Repeat... for more details on Gumdrop Gobbler. Let your kids dress up for the holiday with this turkey appliqué tee. Make it: Trace your handprint onto the t-shirt and cut it out. With the right side of the patterned fabric facing through your cut out, pin the fabric to the inside of the shirt. Sew around the edge of the cutout. Next, cut around the patterned fabric, along the sewn line. Stitch on some legs, sew a button for the eye, and add red felt for the wattle. Visit One More Moore for more details on Turkey Tee. Take some inspiration from nature and pull some pinecones from your trees to make these turkey friends. Make it: Hot glue a few feather to the bottom of a pinecone. Then, add googley eyes to the front for a face and an orange triangle of felt for the beak. Visit A Pumpkin and a Princess for more details on Pinecone Turkey. X gets the square! Let your kids play at the dinner table with these fun tic-tac-toe placemats. Just draw out a tic-tac-toe board and then print out the pieces from the link below. delete what you'll need and make it sections. Make it: Cut a piece of black construction paper into a rectangle and then layer a smaller white rectangle on top. Draw out a tic-tac-toe board with black marker. 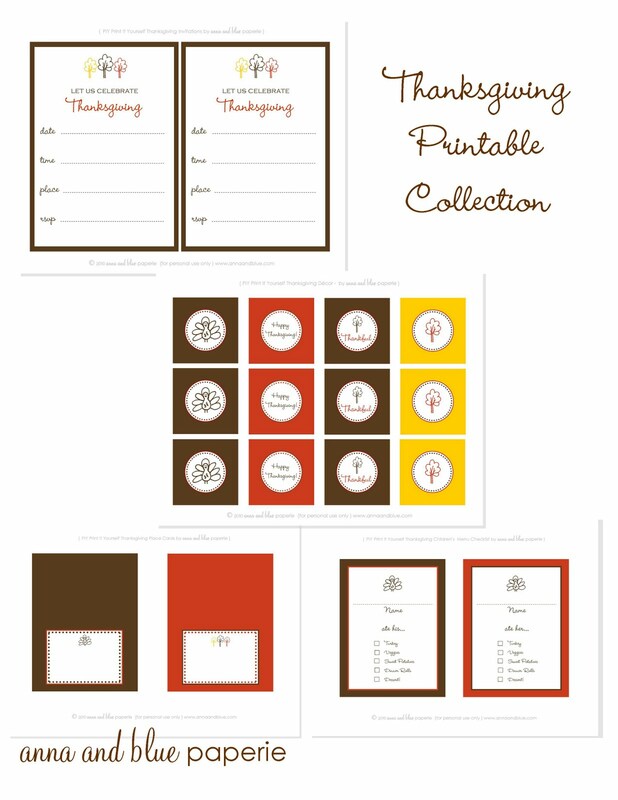 When you're done, print out the Thanksgiving printable game pieces - use the printables so your kids can play over and over on the same board. Visit How Does She for more details on Tic Tac Turkey. Put a new spin on the classic handprint craft with this stuffed turkey. Make it: With the right sides of the fabric facing each other, trace your child's hand with the pencil. Pin the fabric together and sew over the marked lines, leaving the wrist area open. Then, trim within about 1/8" of stitch line. Turn the handprints right side out, and fill it with stuffing. Once it's fully stuffed, tuck in the bottom opening and edge stitch to close. Cut and glue some feathers from the colored felt along the fingers of the turkey and add two wings and to the palms of the turkey. Finally, cut a triangle for the beak, a strip for the wattle, and circles for the eyes and glue in place. Visit Bella Dia for more details on Gone Fowl.